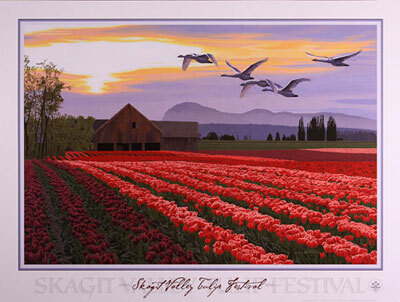 Bart was honored as Skagit Valley Tulip Festival Poster Artist for 2010. Every year in April people come from all over the world to visit the spectacular fields of tulips and daffodils in the Skagit Valley of Washington state. The centerpiece for the festival each year is always the official poster.